Need to create off-limit areas with restricted access? What about keeping medications, electronics or valuable stock secure? 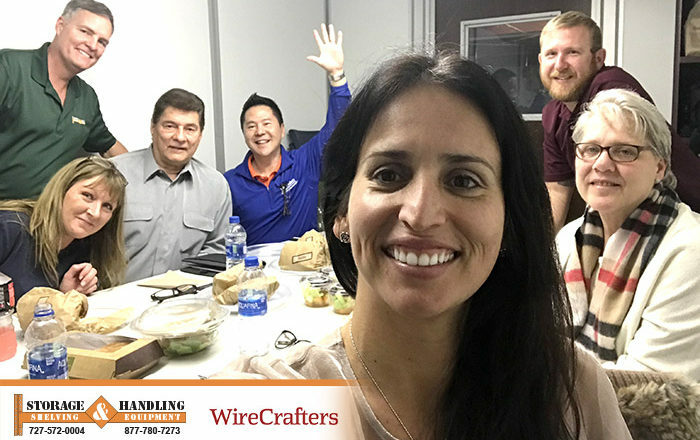 This past week we had the pleasure of meeting with WireCrafters, the nation’s leading manufacturer of woven and welded wire partitions, and our long term supplier for Wire Cages. We met with Garry, and learned all about the new features and variations that WireCrafters offers. 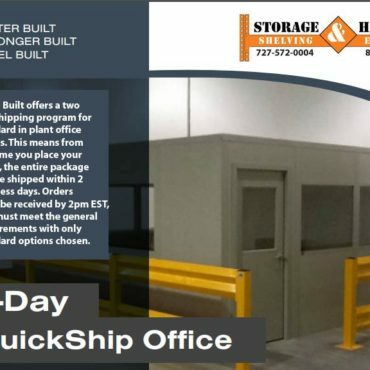 In-Plant Offices/Modular Offices are fully functioning, pre-engineered buildings with doors, windows, and electrical components designed with the flexibility to be reconfigured for your changing facilities requirements. These systems can be designed to accommodate small to multi-office complexes of several thousand feet. Modular office walls can be customized with a variety of colors and textures. An inplant office/vision tower in conjunction with a mezzanine allows for a clear, wide span of open space below for working areas or storage shelving. Don’t let this be a scene in your warehouse! Not understanding and/or respecting how dangerous pallet rack can be if some of these tips aren’t followed. Just because it’s heavy duty and looks sturdy, doesn’t mean it can’t come crashing down. If you’re buying new rack, they usually come with labels that state the rack’s capacity. If you’re buying used rack they may no longer be there so make your own labels and post. The main thing is you don’t exceed the listed capacity. Sounds like a no-brainer but you need to enforce your capacity ratings so that your racks will not be overloaded or misloaded. Take the Home Depot incident in Santa Clarita, CA. When an earthquake hit, it was only the pallet rack overloaded with ceramic tile that collapsed. As a result, over 160 Home Depot stores were retrofitted with heavier, higher capacity racks in their ceramic tile areas. The cost of the retrofit is estimated to be approximately $15 million (see p. 23/2.5.2) By posting capacities on the racks, it’s clear at a glance how much weight the beams can take. Beam capacity is much easier to understand than upright capacity. The rule of thumb is that the greater the vertical space between beam shelves, the lower the upright capacity. When purchasing new pallet rack shelving, check the weight of your heaviest products and items against the capacity of the uprights and beams you intend to store them on. This simple, quick step could save someone’s life. If you have constant forklift and picker traffic, post protectors & upright protectors are a must. They’re easily applied to the bottom of the post and to the ground, providing stability for your shelving while protecting it from potential damage. The corners and ends of the rack aisles are most susceptible to a direct fork truck hit – so defend them. Utilize steel guardrails, (placed 1’ – 3′ in front of the rack), post protectors and other means to shield them from fork truck accidents. Anchors, tie plates & row spacers are ideal for tall shelving and long shelving runs. 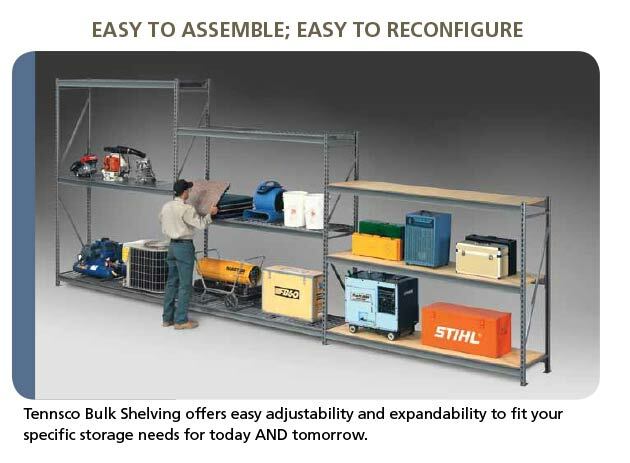 By anchoring your heavy duty shelving to the floor or wall, you’re significantly reducing the risk of it falling over. There’s not much worse than a shelving system collapsing, destroying your valuable stock and items. We strongly recommend you consider purchasing anchors, tie plates and row spacers with new shelving systems. We’d also recommend assessing the need to anchor your existing system. Wire decks are a great way to improve health and safety in your warehouse or storeroom. They’re able to catch inventory and debris falling from higher shelves, plus there’s no dust build up. If there’s a fire and your sprinkler system goes on, the water can get to where it needs to go. Make it a part of your routine to inspect frequently, at least monthly. While a quick visual inspection won’t tell you anything other than a rack may have been hit, that’s the start of getting it repaired to safe standards. Less frequently, an independent engineer should inspect your rack. When you inspect, look for (1) Damaged uprights; (2) Damaged or bent beams; (3) Operational and capacity signs; (4) Overloaded beams – are they bent or deflected beneath the load; (5) Is the rack plumb and vertical? ; (6) Look for missing beam clips or other connections; (7) Damaged welds; (8) Beams popped out of the uprights; (9) Damaged braces or column protectors. Have a no-repercussions policy for reporting impacts. Guys make mistakes – even good drivers. During a fast paced day, they may smack an upright. You need to know that it happened, so don’t punish them for reporting it. Sometimes, the damage can be slight and the driver will decide it’s in his self- interest to let it slide, even though a quick visual inspection can confirm whether or not the accident has possibly damaged the structural integrity or capacity rating. Let your drivers and warehousemen know up front that you want to know, and that they won’t be reprimanded if they tell you. Replace damaged racks. This is another no-brainer. Yes, it is a pain to unload racks, take them down and put in new uprights or beams, but it’s for the sake of your inventory and the forklift drivers or pickers who are working beneath these racks. If something is damaged, and it’s carrying thousands of pounds of product, it can trigger collapse in entire rows, endangering people and costing much more than individual replacements. Don’t allow cleats or other items to be welded to beams, uprights, bracings, etc, or for its load profile to radically change. If you do make appropriate, engineer-approved changes, change your facility drawings, signage and processes to denote what was done. Rack accidents are also caused by improper installation & maintenance. If your uprights are not properly bolted to the floor, or have loosened over the years, rack accidents can occur. Check them regularly to be sure. Boltless beams should always be secured to the rack. Check the rivets after installation to be sure they fit snugly and that safety clips are utilized. Monitor them over time to be sure they haven’t been knocked out of place. Place the load squarely. Drivers should be trained to deposit pallets correctly on the rack beams. They should be square, and if possible should overlap uniformly on the front and back. This helps you maintain evenly-distributed loads, which are vital to maximizing rack capacity and saving wear on your beams. Also, pallets out of square can cause accidents in 2-deep rows when the other side is being loaded. Placing the load only onto wire decks, where the pallet isn’t supported by rack beams, can greatly reduce capacity. Don’t stack items directly on top of each other if they aren’t designed for this. Instead, place it directly and evenly onto the shelf. These safeguards are relatively inexpensive solutions, and can be invaluable in particular in areas where there is foot traffic, order picking, or other human activities in the aisles below. See pallet rack safety netting or wire rack guard panels for more information. In areas where racks should be modified for seismic issues, it’s vital to understand what local, state or federal seismic regulations you must adhere to. This tends to involve larger footplates and specialized installation methods, but may not necessarily be limited to that. This entry was posted in Uncategorized and tagged OSHA pallet rack rules, OSHA pallet rack safety, pallet rack beams clearwater, pallet rack clearwater, pallet rack installation, pallet rack lakeland, pallet rack largo, pallet rack mesh panels clearwater, pallet rack pinellas county, pallet rack pinellas park, pallet rack protectors, pallet rack safety, pallet rack st. petersburg, pallet rack tampa, pallet rack uprights, used pallet rack clearwater, used pallet rack tampa, wire deck surfaces clearwater. Bookmark the permalink. Tampa, St Petersburg, Clearwater, Lakeland, Tarpon Springs, New Port Richey, Safety Harbor, Dunedin, Oldsmar, Bradenton, Palmetto, Sarasota, Plant City, Winter Haven, Bartow and all of Florida including Pinellas, Hillsborough, Pasco, Polk, Sarasota and Manatee Counties. rganization is considered by many to be the single most important factor in establishing and sustaining productive work habits. It also means keeping things as simple and functional as can be, for long-lasting results. Set yourself and your team up for success with tools and systems tailored to your strengths, preferences and needs. Whether it’s for a warehouse, a healthcare facility, a classroom, pharmacy, garage or your home, your first job is to SORT. Don’t be intimidated by the idea of sorting. It’s simply a matter of putting like items together. Once that’s done, you’ll know what you need and how much of it to store your items. Evaluate your storage equipment to ensure proper application. Placing slow-moving, low-cube items in bin shelving and fast-moving items inmight line tape, floor marking tape, aisle marking tape, tape clearwater, floor tape clearwater, tom gondi, mighty line tape, shieldmark tape, mighty line tape clearwater, shieldmark tape clearwater carton/pallet flow, or other appropriate storage options. This improves storage density and picker productivity. Consider automation – order pickers spend about 60% of their time walking product or moving product around. Consider an automated solution, such as conveyors, to reduce their extensive travel time. Multi-level pick towers also save travel time and are quite innovative. Keep aisles clear. The more cluttered your warehouse aisles are, the harder it will be to find what you need. Assign one person to keep aisles clear. Does your warehouse work area look like your unorganized sock drawer, but at the same time you are concerned with the overwhelming effort required to paint and maintain painted lines? Try Mighty Line floor tape and other floor marking products so there is ‘a place for everything and everything is in its place’. Healthcare: Simplify storage & organization for greater efficiency in patient care areas, labs and diagnostic centers, and long term care facilities with the #1 best-seller by Akro-Mils, The ProCart. Coupled with modular cabinets or crystal clear drawers, these carts are not only efficient but increase safety, quality, compliance & cost containment. 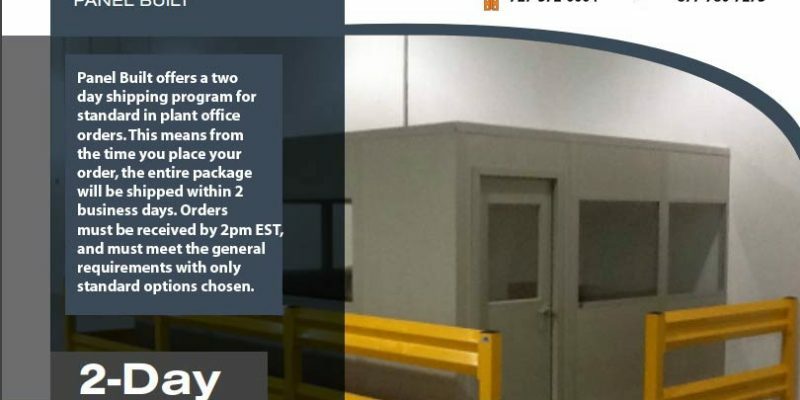 Using these easy-to-follow steps, your supply room reorganization team can get you started immediately on Designing or Reorganizing your Supply Room. Take a look at how the 2-bin Kanban Supply System works for St. Clair Hospital in Pittsburg. 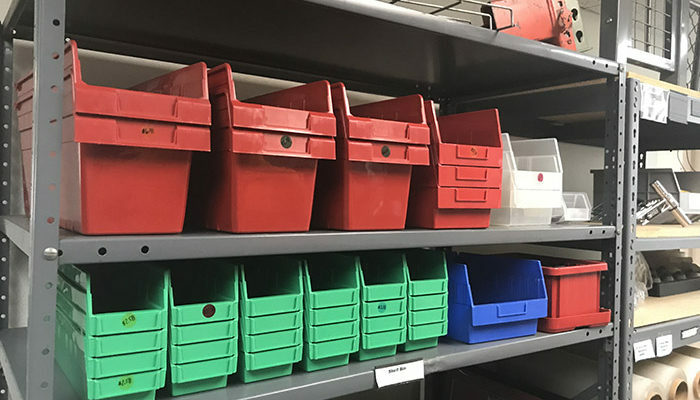 By adding wire shelf carts and clear bins, they went from having stock out issues with nursing supplies to zero stock outs and zero manual requisitions sent down to materials management. The investment in system design paid off in terms of better staff satisfaction, reduced waste, and better patient care. Pharmacy: When you work in a pharmacy, everything must be clean, organized, and secured. Having the correct supplies on hand will help you in keeping your workspace neat, orderly and you’ll be less likely to confuse items that are similar in appearance or name. storage and Handling equipment, cogan, wire cages, theft, DEA, wire partitions, industrial material handling, material handling, storage, injectable) and form of preparation (dry or liquid medicines). Top Shelves – Dry medicines (tablets, capsules, oral rehydration packets). If the top shelf is near the ceiling or out of your reach, use that shelf to store items that are NOT sensitive to heat and are NOT used regularly. Middle Shelves – Store liquids, including injectables and ointments. Don’t put dry medicines below them. If liquids leak, the medicines may spoil. Bottom Shelves – Store other supplies, such as surgical items, lab supplies, and labels. A commonplace for student’s water bottles. If your students are at tables, not desks, each student can have a bin to store their supplies. Class libraries- Sort by theme, genre, leveled take-home books, chapter books or author. Line storage carts with bins. This idea serves well for open or semi-open classrooms since the storage carts can be lined up to create a “wall”. Home: Bins systems are great for organizing all those little parts and pieces. Don’t throw out nuts, bolts, screws, etc. because you can’t find them. Organize your garage so each piece of hardware has its own storage bin. Same idea can apply for small automotive parts. Safety netting can help you meet these regulations by adding them to your pallet rack systems, mezzanines and conveyor belts. Take pallet rack as an example. Pallet rack can easily be jostled by a forklift or truck collision, or a fork truck driver may accidentally push items off the other side when loading or unloading. 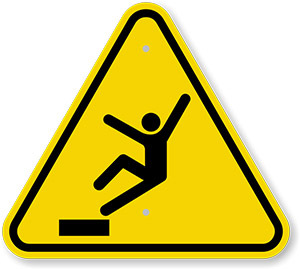 Having a safety net in place prevents fallen material from hitting the people below, the floor, or other products. Industrial safety netting is usually mesh. It has fine holes, allowing light and air to penetrate but still strong enough to catch falling products. Mesh can be washed, and the Food and Drug Administration (FDA) has accepted mesh for use in sanitary applications like freezer and food-packing. Most nets are resilient and made to stretch to absorb shocks and loads, then return to their original shape. On racks where there is loading or unloading from one side, it is especially important to have a net system installed. This protects people below from falling objects or stock from being accidentally pushed off the back of the rack. Safety nets can be installed on the sides, rear or front of pallet racks – anywhere you need nets to reduce product loss and keep people safe. This protects employees who are working and at risk from excess or reserve stock stored above in standard or push back racks falling on them. Industrial nets can be used in “flue” spaces between back-to-back racks. Many companies experience product loss when cartons fall down into the flue space. From a maintenance point of view this is a solution to labor-intensive clean up of fallen cartons. The MezzNet safety system is an OSHA-compliant solution on the market for protecting workers and products from falls in mezzanine areas. The MezzNet can provide a solution for your loading and unloading processes because it has very few moving parts and is easily operated. It’s easily installed and operated by any employee on the floor, and is very low maintenance. It’s a manual system that uses a simple pull rope to raise and lower the net. A lightweight aluminum bar and netting make it easy to deploy with a hand-over-hand action (similar to raising the blinds in your house). To save lost time due to spillage or injuries, employers must provide a safe workplace for anyone working with overhead or ground level conveyor systems. Conveyor guards provide overhead protection where a conveyor passes over work areas, aisles or thoroughfares, for employees who are required to work below the conveyors. These guards will keep you compliant with OSHA’s 1926.555 safety regulations. Conveyor safety net systems (containment nets) are easy to install and won’t rust, peel, rot or dent like metal containment systems. Cart Nets are used to protect products and cut down on waste. Reusable containment netting provides an environmentally friendly, green solution to shrink wrap for material handling, food industries and floral carts. Cart nets are an economical option that allows you to safely transport your products within your facility and all the way to your customer’s shelves. It’s easy to attach, and can be used on your carts over and over. Uses include: egg carts, flower carts, dairy carts, bakery carts, cafeteria carts, and more. The type of load and weight that must be secured. Offset or flush mounting; vertical extensions available if necessary. If offsets are required to accommodate shelf overhang, determine the distance needed between the rack and net. Flush mount (one inch offset) and six inch offset are standard. Other offsets are special order. The number of bays, type of rack, length and width of the system. Choose between three weights—light, medium, and heavy—and a variety of mesh size openings. Often there are color options at no additional charge. Bay Nets – service bays, rail, bus and virtually all other commercial fleet maintenance facilities. Organization is considered by many to be the single most important factor in establishing and sustaining productive work habits. It also means keeping things as simple and functional as can be, for long-lasting results. Set yourself and your team up for success with tools and systems tailored to your strengths, preferences and needs. Whether it’s for a warehouse, a healthcare facility, a classroom, pharmacy, garage or your home, your first job is to SORT. Don’t be intimidated by the idea of sorting. It’s simply a matter of putting like items together. Once that’s done, you’ll know what you need and how much of it to store your items. The deduction limit for Section 179 is now $500,000. • This means that if you buy (or finance) a piece of equipment, you can deduct the Full Purchase Price (up to $500,000) from your gross income. • The old limit was $25,000. 50% bonus depreciation was reinstated for the tax year 2015 and extended through 2019.
you can deduct an additional 50% of the amount over $500,000 in addition to your standard depreciation deduction. This applies to equipment acquired and put into service during 2015, 2016 and 2017. Then bonus depreciation will phase down to 40% in 2018 and 30% in 2019. • The old limit was $0. Storage & Handling, We are your professional pallet racking expert. 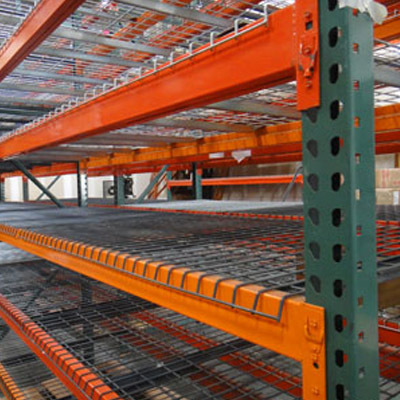 Storage & Handling – we buy and sell new and used pallet racking and material handling equipment. We are a full service dealer of new and used pallet racking, lift trucks, heavy and light duty shelving, modular offices, mezzanines, wire decks, w ire decking, metal grates, frames, crass members and a host of other related industrial and warehouse material handling equipment. 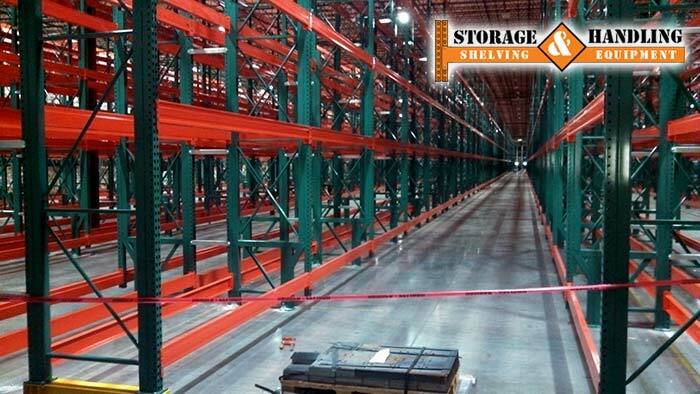 New and Used Pallet Racking throughout Florida. 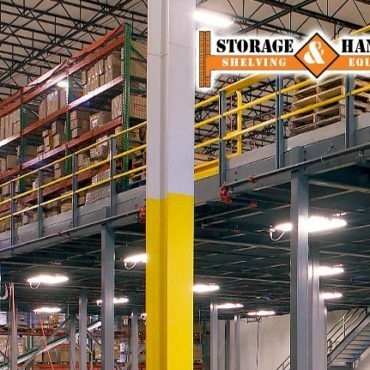 Each consultant on Storage & Handling Equipment’s expert team has years of experience to help guide you to the best material handling and storage equipment solutions. While finding the right products is important, getting them installed properly is even more critical. 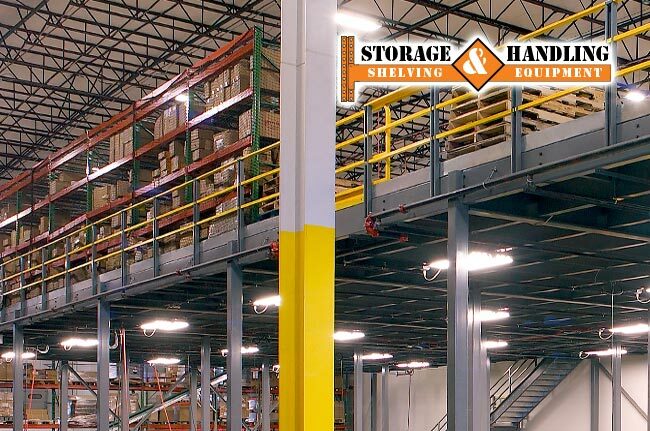 Our installation experts, with decades of experience, have installed pallet rack, shelving systems, steel mezzanines and more throughout Florida and across the nation.